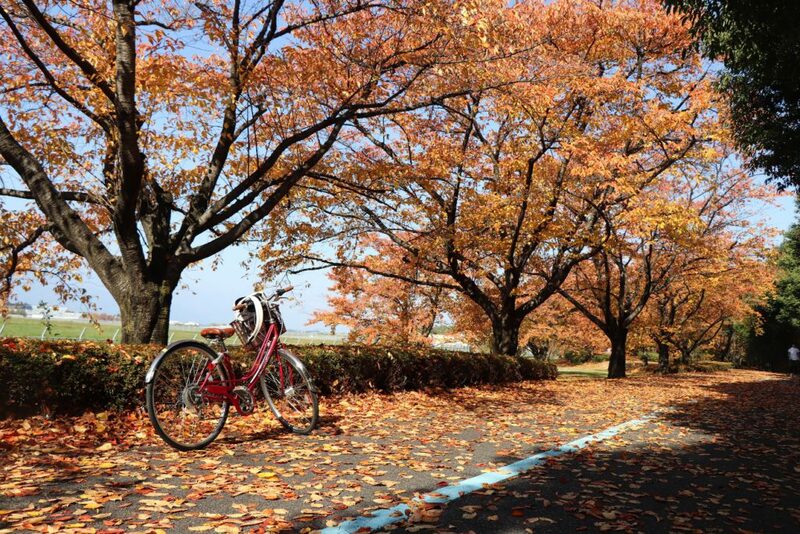 Want to get out of the cities and explore the countryside of Japan? Matsumoto offers you everything that the big city cannot: see the quintessential scenery of Japan where rice paddies reflect snowcapped peaks, take a bicycle through the mountains and valleys, drink from natural springs flowing with pristine water, meet local farmers at the markets, and pick your own fresh fruits right from the trees. Whether you want to take on the hills with a mountain bike or casually cruise between the rice paddies on a city bike, Matsumoto has got you covered. For avid mountain bikers, you will not want to miss the Hachibuse bike trail, which is a stamina-testing, uphill climb to the top of Mt. Hachibuse followed by a breathtaking ridgetop ride with a panorama of the Japan Alps and an exhilarating downhill back to central Matsumoto. You can also rent mountain bikes or take biking tours in Norikura Highlands, which offers options for beginners, as well. If you prefer keeping your wheels on flatter ground, rent a bike in central Matsumoto and take a tour of all the historical spots around the city. To get a breath of the country air, go explore the areas outside of the centrum where you can peddle among the rice paddies set alongside beautiful, traditional Japanese farmhouses and be awestruck by the grandeur of the towering Japan Alps in the background. Nagano, Matsumoto included, is famous throughout Japan for its extraordinarily delicious fruits—apples, grapes, watermelons, persimmons, berries—you name it. But, perhaps the most beloved fruit grown in Nagano is the apple. Apple orchards spot the farmland around Matsumoto and the neighboring Azumino City. If you come during the harvest season, you can get your own share by going and picking them yourself at orchards that offer picking activities! Your bounty of plump, juicy apples will serve as the perfect snack for the rest of your trip. 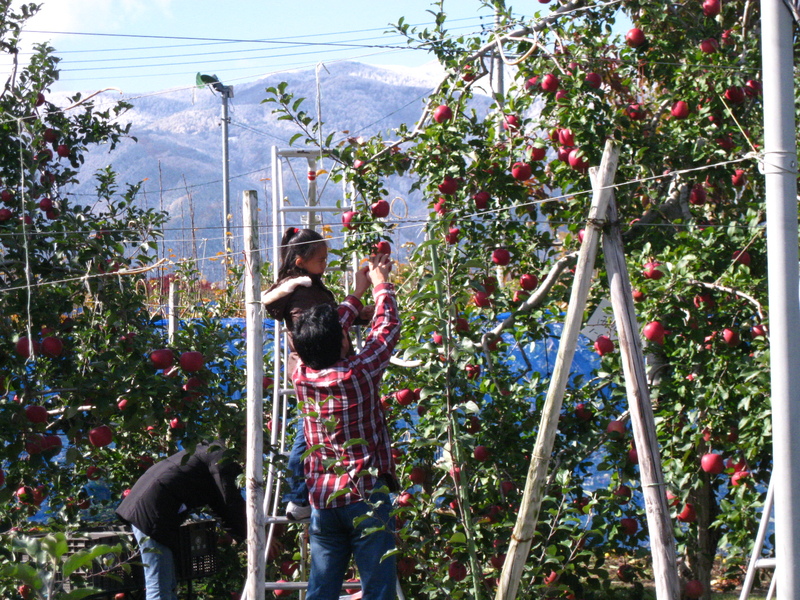 See the Apple Picking activity at Yokoya Farm. Matsumoto is a land of not only tasty fruits, but also fresh vegetables. 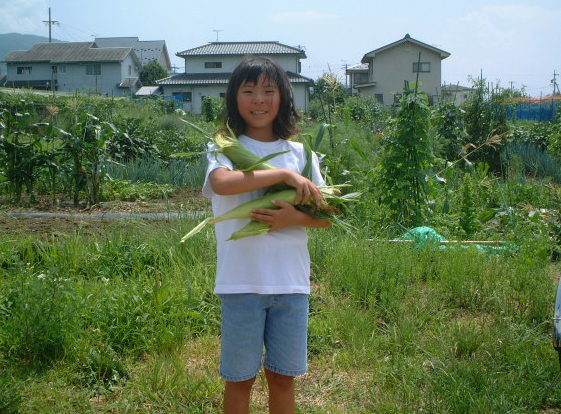 With acres upon acres of fertile farmland beneath the Japan Alps, Matsumoto has a huge community of local farmers. 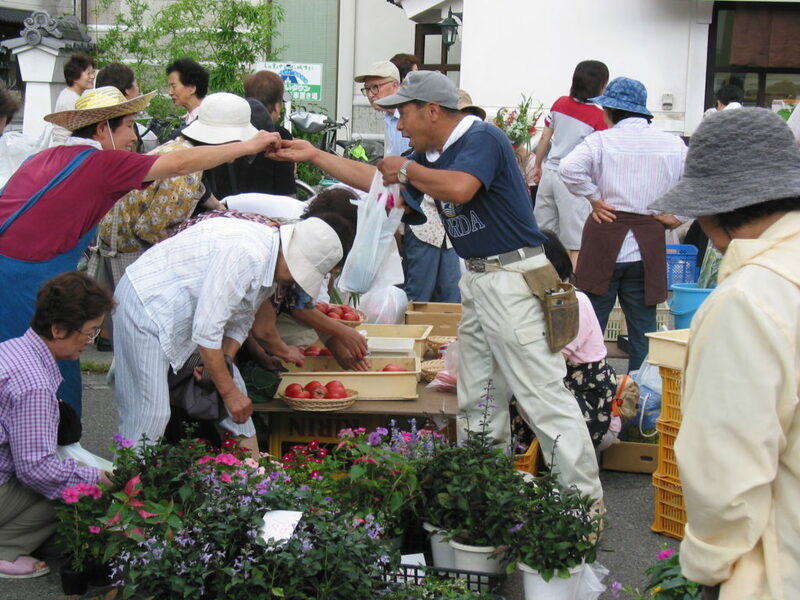 During the main growing season from May to December, you can visit lively farmer’s markets held on Nakamachi Street in downtown Matsumoto. This is where you will really be able to get a feel for the country life in Japan: see the fresh-from-the-farm pickings, meet local farmers, and try out your Japanese by asking for cooking tips. While the farmer’s markets sell primarily fresh vegetables for cooking at home, if you’re looking for something more “snacky” that you can munch on right away, then a visit to one of the many farm shops in Matsumoto is a great way to go. Shops like the Nakamachi Kura Marche, Farmer’s Garden in the Yamabe area and fruit and vegetable shops on Nawate Street and in Nakamachi sell, along with vegetables, local foods like oyaki dumplings, snacks such as or Japanese sweets and senbei (rice crackers), and often ice cream made with locally produced milk and produce. You’ll also find products that you can take home and cook with, such as Matsumoto-made miso paste, soba noodles, and more. Learn more about Matsumoto’s local food and specialties here. Matsumoto is blessed with an abundant supply of clear, natural ground water flowing from the surrounding mountains and their melting snow. This precious resource bubbles up from numerous wells and natural springs scattered about the city, which have been used as a source of water for hundreds of years by the people living here. Each well has its own special history; for example, the Iori Reisui Well is located at the grave of a brave samurai and the Genchi Well was considered so important that the lord of Matsumoto Castle himself ordered its protection. The wells and natural springs are still used by the residents of Matsumoto today who fill up water jugs at the springs for use at home or even cafés and restaurants. If you find one of the wells while walking around the city, why not fill up your own water bottle, too? The natural mineral water tastes great and is safe for drinking even though it is has not been treated.